Last year, I wrote this post on what the Top 5 Gifts to Encourage Healthy Eating in Your Home were. Each were items I knew we had loved and gotten a good ROI on. This year, instead of looking back on what items we already love, I am changing it up to be the items I most have my eye on in the upcoming holiday season. With deals from Black Friday, Small Business Saturday, and Cyber Monday still running on some, now is the time to take a look into these products. Encouraging kids to play with their food. In the year ahead, I see so many new opportunities for how to engage our toddler in the kitchen; many of which will be shared with you. From ongoing use of our kid-safe kitchen stool (my favorite kitchen product EVER) to new tools I want to incorporate into meal time, there are a lot of ways I plan to encourage "playing with your food" in 2017. I am a firm believer in teaching table manners and fostering good etiquette at an early age, but also I know there is a dynamic we too quickly turn the page on. Allowing kids to experience their food through play. Whether it be sensory tables with raw (or cooked!) ingredients or allowing kids to explore new food without the pressure to eat them, I am looking forward to how our daughters will get to engage with food in the upcoming year. Our 10-month old is becoming increasingly tactile and enjoys being into EVERYTHING, so some of these will quickly be age-appropriate for even her. 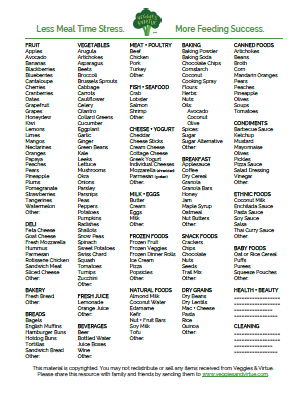 More so, I am eager for the applications to use the following products with the apprehensive eater in our almost three year old. Dylbug: Shortly after starting Veggies & Virtue, I saw these adorable plates from Dylbug (on Instagram). In getting to know the owner of the company a bit better, I have been even more impressed with how Dylbug products seek to make eating so fun again. Beyond the possible assumption that parents are the ones behind the scenes making these plates so cute and clever, I see so many opportunities to use Dylbug as the flagship plate in a new series of Veggies & Virtue posts, #learningitplate. I am so eager for see our toddler initiate play with these adorable plates.and products. Our personalized order is already on its way, and I suggest you get yours ordered this week as well so it can arrive in time for Christmas! Meals with Milton: One of my most favorite people to have connected with through Instagram is @chikidsfeeding. Catherine Callahan (M.S., CCC-SLP/CLC) is the speech-language pathologist, pediatric feeding specialist, and mother of two behind Meals with Milton. With insightful ideas about feeding kids from an angle other than just nutrition, let's just say Catherine's approach to pediatric feeding has opened my eyes to new areas of pediatric nutrition -- including how to get my own apprehensive eater to try new foods. Milton is on his way to our home and I know will make a fun addition and lessen the apprehension towards repeated food exposure. Yumbox MiniSnack: It should come as no surprise that I am a pretty big fan of Yumbox lunchboxes. With our youngest being 10 months old though, I don't really need a full sized bentobox for her when making #bentosforbabies. I know she could grow into the Yumbox Panino (which we have for our #loveitlikeitlearningit lunchbox), but that still seems a bit overkill for now. Enter Yumbox's new(er) product: the MiniSnack. With the large food well fitting 3/4 cup of food and the smaller food well fitting 1/3 cup (plus the dip well), this is a good alternative to a full-size bentobox. 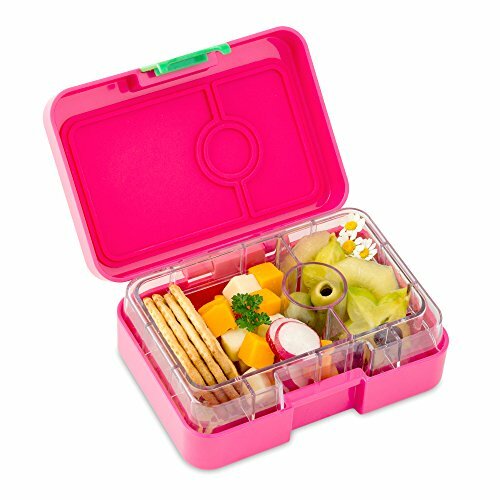 I feel like I could justify the price a bit more too with knowing that once our youngest "outgrows it" for a larger bento, the MiniSnack would be the perfect size for me to toss into my work bag during those rare few hours I get to sneak away to work at a coffee shop! Ezpz: I have had my eye on this product since even before I saw it launch on Shark Tank. I teetered between if it was a necessary kitchen item or not, but now with round two of Baby-Led Weaning, this seems like a no-brainer to add to our arsenal. 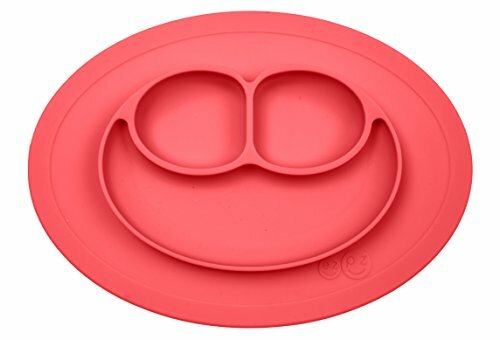 I delight in the day our infant can officially pull up to the table with us and not have the tray attached to her space-saver high chair, but rather can use this item without my worry of when the plate may take a spill. When I realized the applications to also use this Ezpz minimat while eating out, it made the little disposable Mickey table toppers seem like such a last resort. This keeps the food on the mat and welcomes our little one to the table in a sanitary and yet simple way - when at home or eating out. Sensory Table: Although this isn't an Amazon link nor one to a website for purchase, What's Up Moms has so many clever ideas I couldn't help but include this one. With a quick trip to Home Depot, this is the perfect gift to put Dad on this year. The What's Up Mom video and printable gives you all the info to make your own DIY sensory table. With so many associations between sensory play and kid's increased willingness to try (or at least touch!) new foods, we will most definitely have this in cue at Santa's workshop. So that's a wrap! The Top 5 Gifts on My 2016 Christmas Wish List have been sent in to Santa! What items are on your wishlist this year? If you want to see how these products and others are used in upcoming posts, subscribe using the link below. You'll be the first to read about all the applications for how playing with food helps your kids become healthier, more adventurous eaters.